Autumn has officially arrived and unfortunately, we are having to put away the swimwear and pull out the woolly jumpers. Even though the weather calls for warmer clothes, that doesn’t mean that you must compromise on style. We have picked the best of this season’s fashion trends for you to keep an eye out for on your next visit to Overgate. 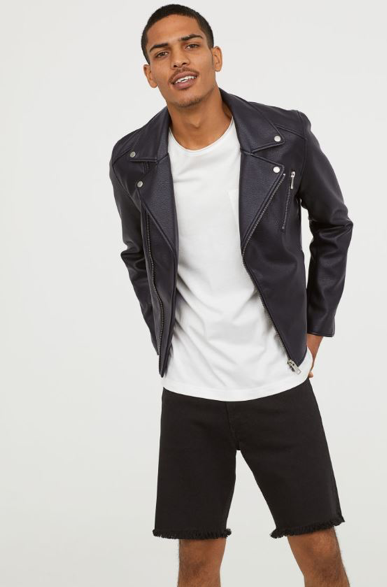 Leather jackets are a staple in many wardrobes, however, leather is taking on a new role in fashion. With leather look dresses at the height of popularity, this striking burgundy dress caught our eye in Topshop. Leaves aside, brown tones are going to be seen everywhere this autumn. 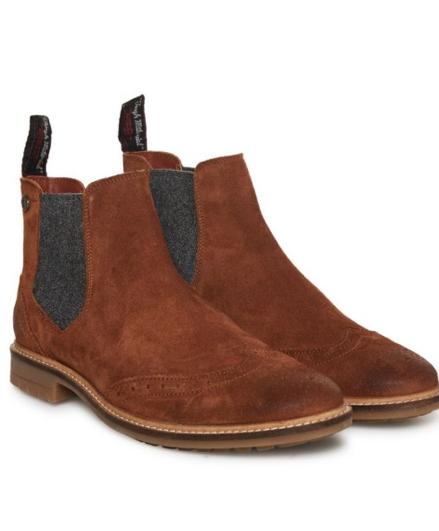 From clothes to accessories, brown can be a great addition to your existing wardrobe. 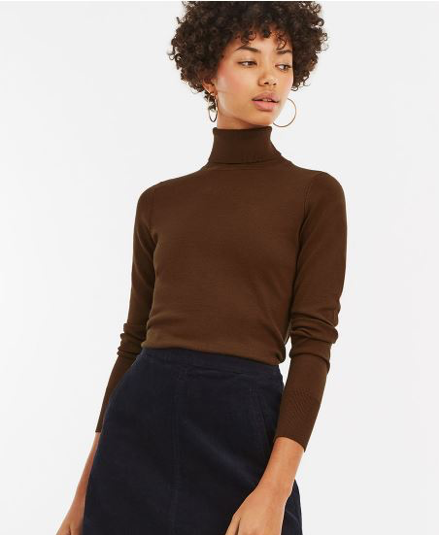 Caramel, chocolate and camel are all shades to consider depending on your complexion, but there’s definitely a colour to suit everyone. The Western trend has been huge on the runway this season with Alberta Ferretti, Calvin Klein and Coach leading the way. You can add elements of this trend to your wardrobe in a few different ways. 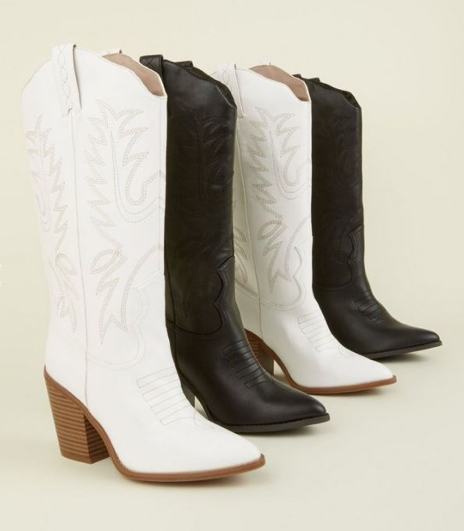 From the extreme addition of the cowboy boot to a more understated suede jacket with contrast stitching, you can be as subtle or as bold as you wish. Checks are something that come in and out of fashion every year and can sometimes lack life. 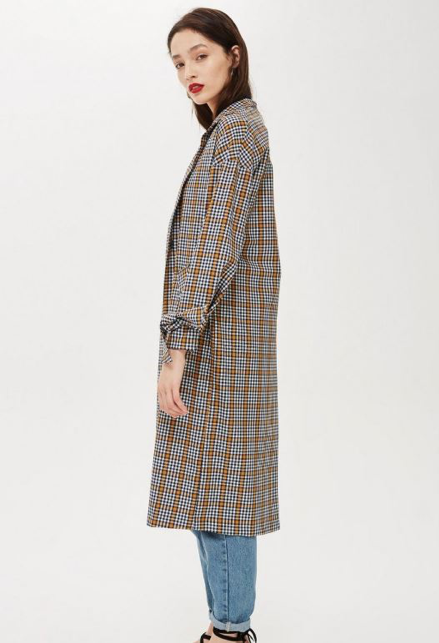 Topshop’s Check Duster Coat has elements of blue, yellow and white which will add some vibrancy to your wardrobe. 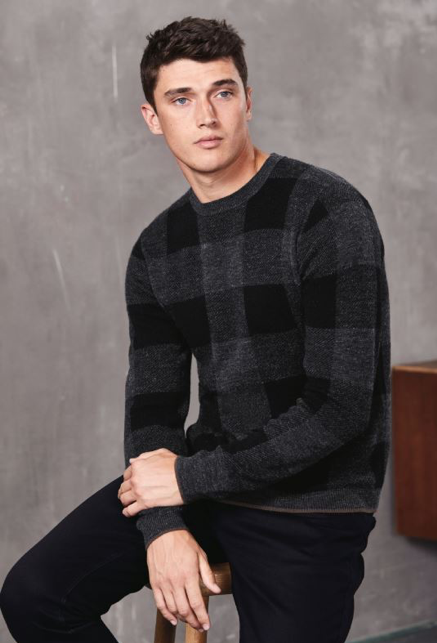 Although Next have kept their colours simple with this Charcoal Jumper, the bold print adds character to the piece. 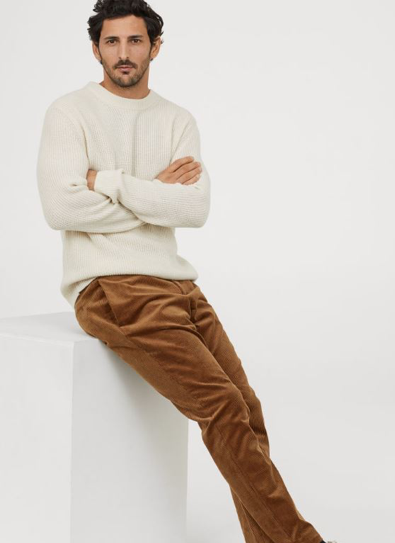 Many of us would have avoided corduroy in the past but it’s recently undergone a fashion makeover. 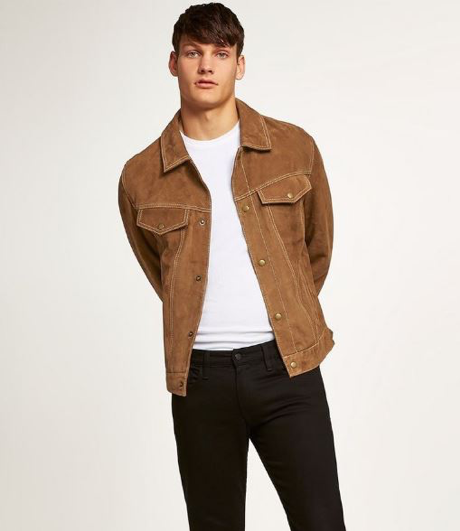 1970s references are still huge this season and corduroy is certainly part of that movement. 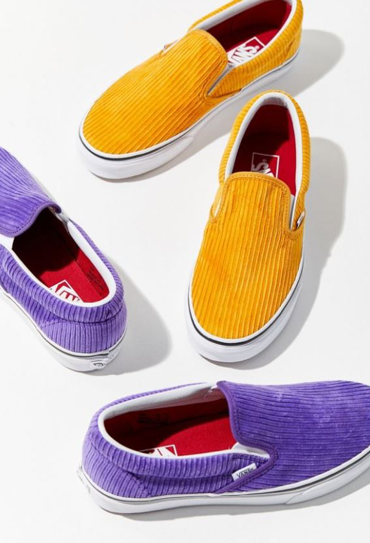 Vans have even added it to their classic slip on trainer for an updated, modern twist. 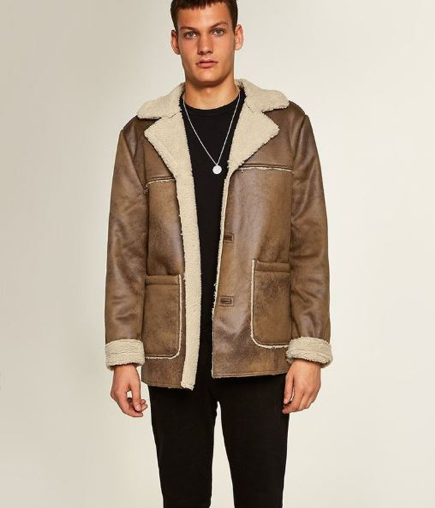 Acne Studios stand out as being THE leaders in the shearling jacket trend a few years back, but unless you have a spare £2000 to spend, you may want to look to the high street for some great alternatives, including these two lovely dupes from Topman and River Island. 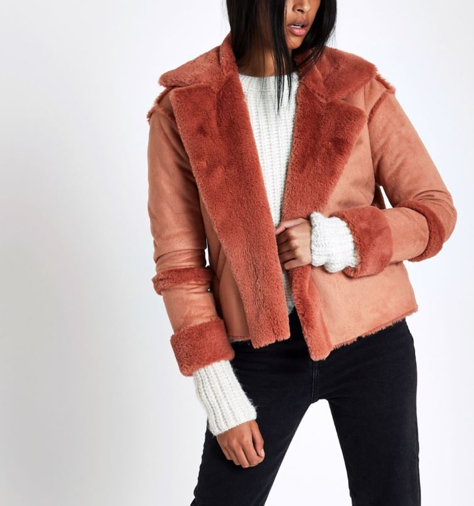 So there’s a quick look into the trends we are loving this season but if you want to find out more, we have our fashion event this weekend at the centre. Discover Fashion Live Event is taking place this Saturday and Sunday at Overgate Shopping Centre where you can meet bloggers, stylists and makeup artists to guide you into the new season. Find out more here.